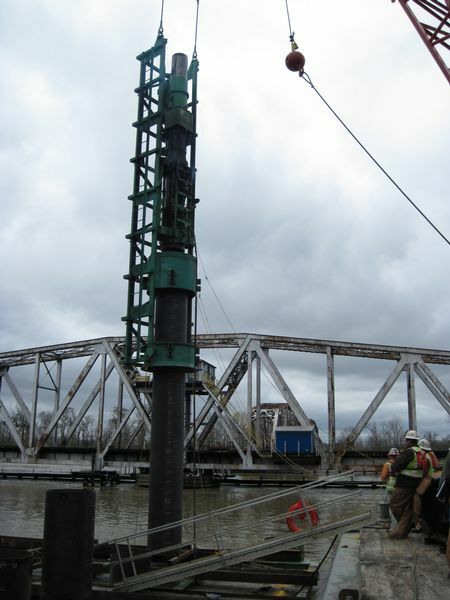 Driving 42" X 120-135' 5/8" wall thickness pipe piles. 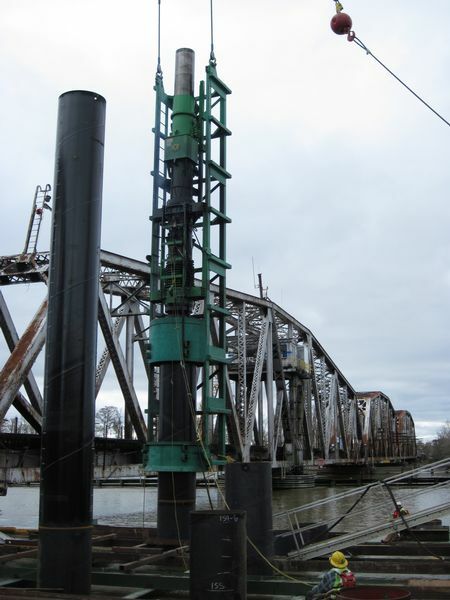 Scott Bridge is renting an I-100 in our OS-60. 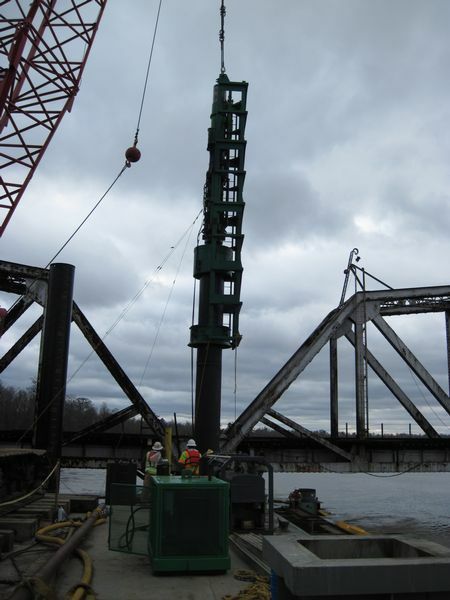 They chose this size hammer based on weap analysis that were done by Colin as well as other engineering firms. 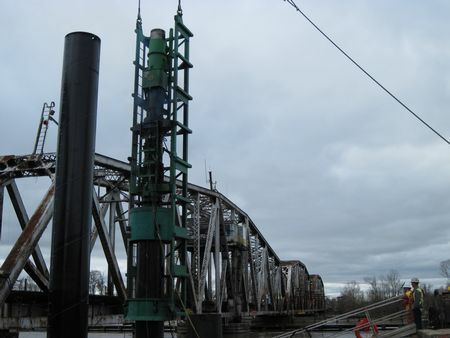 They opted for a bigger hammer to decrease the number of blows per foot due to the proximity to an existing bridge. 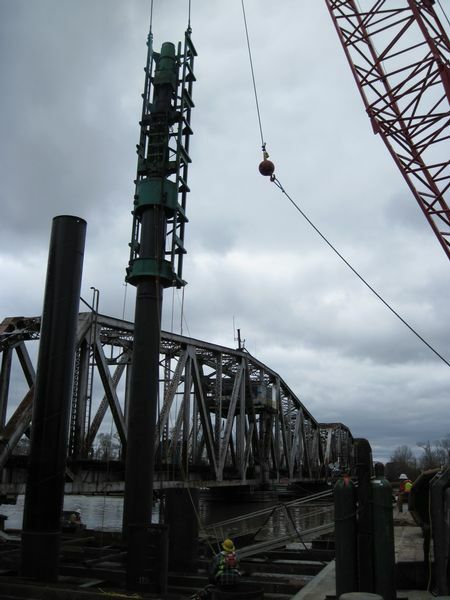 The piles are being driven next to an existing bridge that is currently an active track. CSX owns the bridge that is being replaced, and averages more than one train an hour on that track.